More than 1,660 MW of new capacity has been developed over last two years. A major part of it in the country’s north. Along with Poland, Sweden is now the EU’s quickest growing country on wind power generation, statistics from the European Wind Energy Association show. Over the last two years, at total of 1,660 MW of new capacity has been developed. The Nordic country by the end of 2015 had a wind power generation capactiy of 6,024.8 MW. A total of 3,233 turbines were in operation and annual production is estimated to 16,6 TWh, a report from the Swedish Wind Energy Economic Association reads. The northern parts of the country are among the regions with major planned investments. 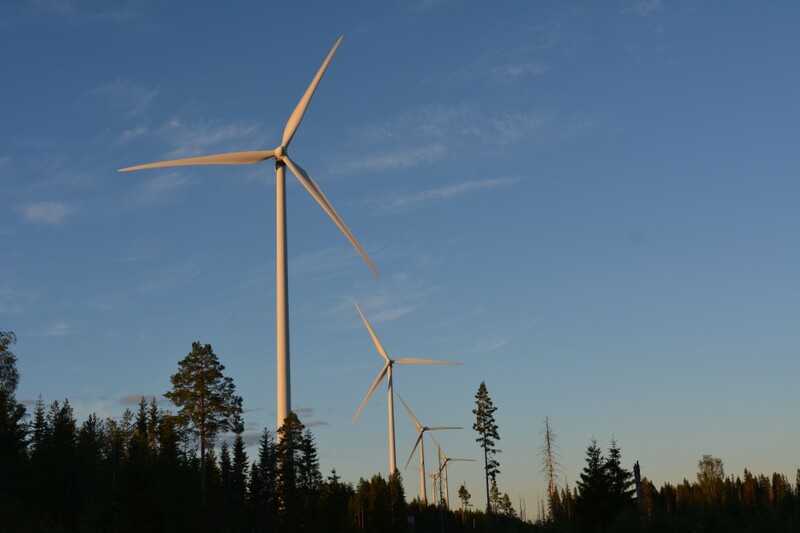 The northernmost county of Norrbotten now has a total of 152 wind power generators with a capacity of 354 MW, newspaper Affarer i Nord informs. And more is in the pipeline. Swedish generation capacity is estimated to grow by 467 MW in the course of 2016. The environmentally friendly power now accounts for 12 percent of Sweden’s total energy consumption. By year 2040, the country intends to have 100 percent of its energy consumption from renewable sources. Sweden is today the fifth biggest wind power producer in Europe. Germany is biggest with as much as 44,946.1 capacity, followed by Spain and the UK. Down on the list are the Nordic neighbors. Finland by late 2015 had a total generation capacity of 1,000.5 MW, while Norway had 837.6 MW. Russia had a capacity of only 15.4 MW, the data show.